Commander Jonathan Radec is a man desperately trying to escape from the mistakes of his past. Now the owner of Vanguard Shipping, his primary concerns are trying to keep his ships flying and his crew alive. However, the shadowy Syndicate organisation has set their sights on the Commander and his business, having sent a beautiful assassin to kill him. To make matters worse, she’s become the target of his infatuation, much to the dismay of his ex-girlfriend. Recently elevated to President of the Confederation, she’s still very much in love with him and capable of making his life a living hell. Surrounded by a galaxy beginning to tear itself apart, with enemies on all sides, he’s now also unwillingly tasked with trying to save the Confederation – for which he has little regard. Jon has little going in his favour, except a crew consisting of the elite of the old Imperial Navy, all of whom would fight to the death for him, and a past that possibly makes him one of the most dangerous men alive. Just finished reading this book. A brilliant read. I picked this book up on Amazon for free. To be honest, the cover (and, well, the title too) attracted me. When I began to read it, I hadn’t even read the blurb, so I didn’t know what I was getting in to. Good thing that I love to read a good military scifi novel. Which this is. Actually, better than good. Smith does an excellent job of creating an invincible character out of Jon Radec, the Commander of the Emperor’s Praetorian Guards, yet making him still human. The book is really two in parallel. In the first, we see what appears to be the beginning of the end of a five-hundred-year Empire, while in the second, we see events that happen five years later. I really enjoyed reading this book. It has everything going for it, along with quite a few surprise elements. Smith doesn’t hesitate to put his characters through their paces. His vision of where the events take place is clearly put into words – excellent world-building. If it weren’t for the fact that this book requires, in some places, extensive editing, it would have got five stars. It is only for this reason that I have allocated four stars to it. Mike Smith is going to be a force to be reckoned with. I will be looking for the rest of the trilogy. Sigrid and Suko are two girls from the impoverished and crime-infested streets of 24th century Earth. Sold into slavery to save their families from financial ruin, the girls are forced to live out their lives in service to the Kimura Corporation, a prestigious mercenary clan with a lineage stretching back long before the formation of the Federated Corporations. Known only to Kimura, the two girls share startling secret—a rare genetic structure not found in tens of millions of other girls. But when their secret becomes known, Sigrid and Suko quickly find themselves at the center of a struggle for power. Now, hunted by men who would seek to control them, Sigrid and Suko are forced to fight for their own survival, and for the freedom of the girls from Alcyone. 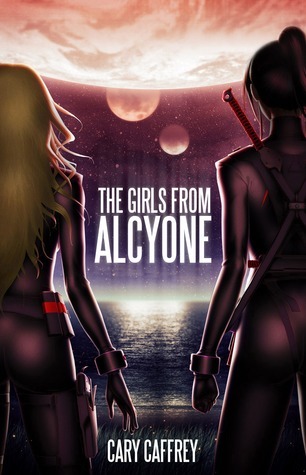 Genetically advanced, the girls from Alcyone are trained to be mercenaries by Kimura. Not only that; they are effectively an experiment in bionic engineering, the result of which is that their abilities far exceed those of normal human beings. Sigrid is eventually chosen for a special task, and as that happens, the entire project comes under threat from an unknown source. Sigrid needs to find out what is happening – as well as to protect her fellow girls from the forces that move against them. But who can she trust? I thoroughly enjoyed reading this book. Cary creates a very complex universe in TGfA, yet manages to illustrate it in a believable manner that does not result in huge chunks of background information. I can honestly say that this is a page turner as one follows the lives of Sigrid and Suko, the two main characters, through the events that unfold around them. In TGfA, Cary has taken science fiction by the scruff of the neck and turned it inside out, bringing a refreshing commentary on politics and gender dynamics to our bookshelves/kindles. And inoffensively so. 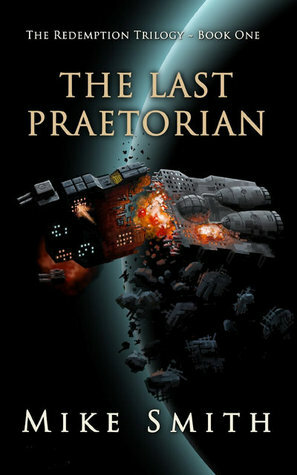 I would gladly recommend this book to all scifi lovers out there – trust me, it’s worth it! Convicted of treason and sentenced to be executed, Bo Barron is the last person who should be infiltrating a Sub-socia weapons auction. But when her father is kidnapped and the ransom demand is the schematics to an experimental weapon, she has no choice but to go under cover with her uncle to get it. Nobody counted on former-government-agent-turned-holofeature-hero Blade Devon’s infatuation with her. A botched assassination under the guise of a bar brawl leaves Bo blind and Blade wondering if there isn’t more to this job than he was led to believe. Never able to resist playing the hero, Blade tends her injuries and delves deeper into the intrigue only to find this mission isn’t about a weapon at all. It’s about two Sovrans’ maneuvering for control, with Bo and Blade as their pawns. All Bo and Blade have to do is figure out how to survive the game they didn’t know they were playing. First of all, I never write reviews. I am one of those people that is way over-extended in life with really too much on their plate. In fact, this is the first review I have ever written on an Amazon purchase and I am probably one of their best customers. So in general when I take the time to sit down to actually write a review it is either because I thought the item was absolutely horrific or incredibly earth-shattering fantastic. This book is the later of the two. If you are looking for a book that is going to help you get away from reality and immerse you into a new world of adventure and romance…this is the book for you. From the first chapter, the reader is involved in the prison escape of Bo Barron who has been wrongly convicted of treason and at the time is sitting in her cell awaiting execution. As the plot moves along in this book- Bo becomes an unwilling participant in one political intrigue after another all with unexpected and unpredictable twists and turns. Along the journey she also unexpectedly meets a mysterious man who is her match in both wits and character. Somehow this overly head-strong and independent heroine manages to meet her hero or is this mysterious man really her nemeses and the tool of her eventual downfall? On the surface this budding romance may appear sappy but rather I found the whole book entertaining and way too short. In reality this book possesses a lot of depth with layer upon layer of intrigue and suspense which on another level makes the reader reflect and analysis the characters and events. Overall, this book is well written. It is full of non-stop action that actually does have a well-developed and for the most part a very unpredictable plot. As the book progresses the reader is introduced to characters that are real with just enough information that makes the reader want to come back for more which surprisingly only adds to the suspense of the plot. This book is a fast read and probably one of the most enjoyable books that I have read in a while. 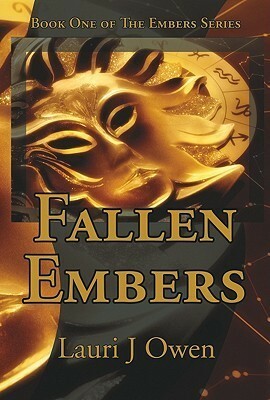 I am totally looking forward to the second book in this series. A feisty attorney and her young nephew are transported to an alternate feudal Alaska ruled by a class of decadent mages who have enslaved the shapechanging indigenous peoples. Before she can find her way home Kiera must learn more about the local systems of magic and her own ability to summon fire. On whose side should she fight? Whom can she trust — Marco, the young mage she saves, or fierce and handsome Laszlo, the slave captain of ruling Lord Vayu’s army? Kiera’s path leads her deeper into Alaska, to joy and to heartbreak. Choosing to follow her heart may cost her everything. Lauri Owen has crafted a magnificent tale of romance and political intrigue, tightly interwoven through the visions of grandeur and depravity that are her alternate Alaska. From the first page one is gripped by the story as one follows Kiera and Alex, who live a pretty ordinary existence in present day Alaska, through their shocking initiation into the realm of magic, where they must survive or be destroyed. 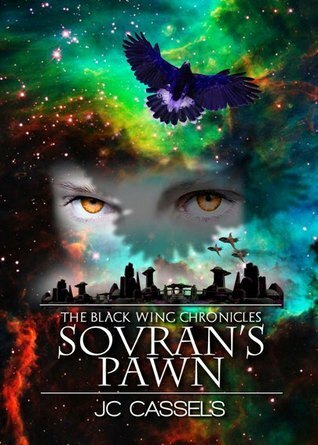 Lauri’s worldbuilding is excellent, and the reader is introduced to the new concepts of the alternate Alaska’s society and magic system gradually. Her characters are living, breathing people who walk into your heart – or step on the nearest nerve as the case may be. The pages of this book turn of their own accord as one devours the images that flow from them, eager to seek out the mysteries that lie hidden within and, of course, to follow the ultimate conclusion of the romance that is the river of hope wending its way through the book.